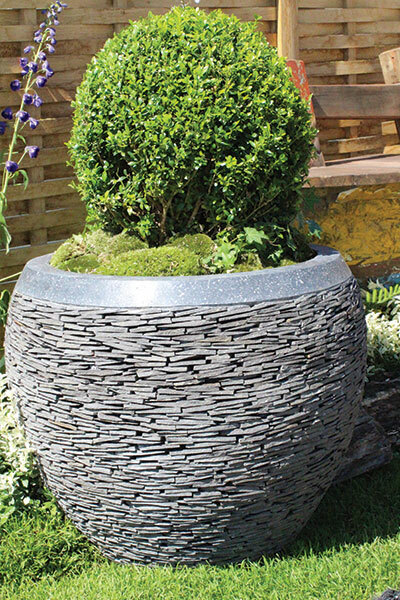 Our slate urns and planters are handcrafted using the same technique that has been used to build dry stone walls for many years. The pieces of slate that are to create the urns are all unique, this makes the shape of each urn and planter different. The outside layer is made up of natural reclaimed slate which is then set into a cement inner lining - this makes the collection frost resistant and suitable for all weathers. 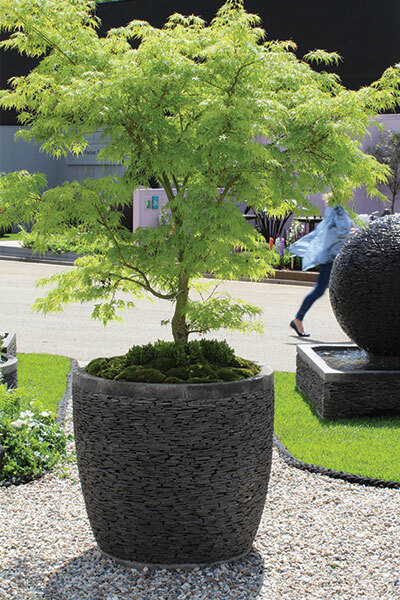 Whether you plant with a contemporary planting pallet, or a more formal one, you can be sure to achieve a sophisticated aesthetic with one of these ornamental slate planters or urns. Urns and planters can be purchased in one of the standard sizes listed below, or made bespoke to requirements. When planted up, these pieces are great for filling small or awkward spaces, or to soften hard lines. Alternatively, use 2 as a pair to set off an entrance or front door. Round: Small (45cm diameter x 45cm height), Medium (60cm diameter x 65cm height), Large (80cm diameter x 80cm height). The reclaimed slate water features and bird baths bring a theme of natural sophistication to any garden or patio, whether it is at your home, or as a statement piece in a commercial setting. 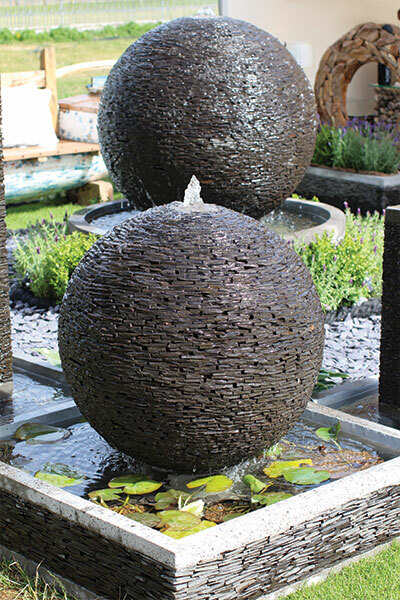 As with the urns and planters, our slate water features are handcrafted using the same technique that has been used to build dry stone walls over the centuries. The outside layer is made up of natural slate which is then set into a cement inner lining. This makes the pieces frost resistant and hard wearing in all seasons. 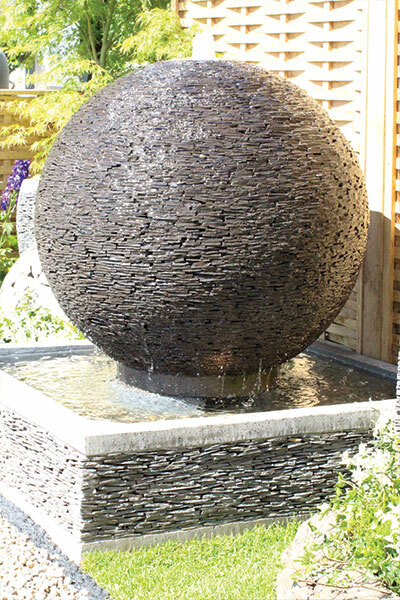 Water features are available in 3 standard forms – round, small pillar, and large pillar – although commissions for bespoke pieces are welcomed. 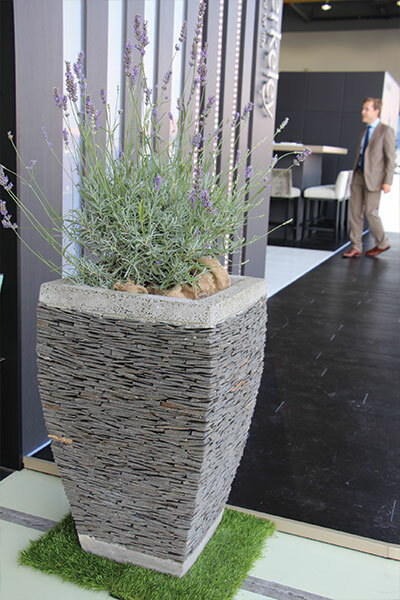 All water features come with a waterproof base which is also made with a slate outside layer. The tranquillity of cool, clear water in an outside space refreshes the soul and is a superb tool for relaxation. Couple this with the gentle flutter of wings and you’ve immediately created a serene, soothing outside space. 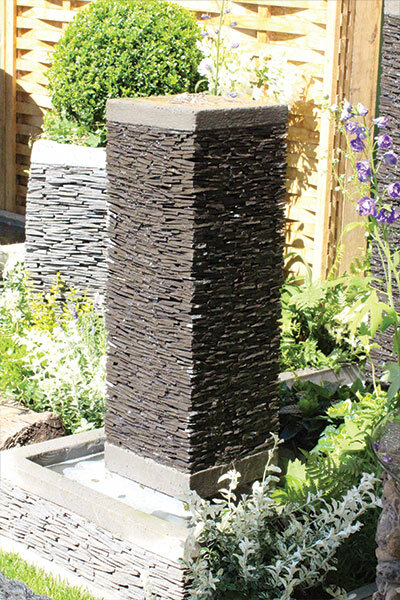 Our handmade slate water features each have their own unique character and charm which is guaranteed to spark interest in your garden. A small pool of water sitting in a deep grey slate bowl takes on a pleasing dark glimmer and an interesting depth that draws in the eye. Standard sizes are available, however, commissions for custom pieces can be discussed with Tristan.